It relates to beverages that contains caffeine blend with other chemicals ( ingredients ) such as Turin , Guarana, vitamin B and that material that claim to give energy to consumers. this title was created by beverage industry but it is not officially recognized by the ( United States Food and Drug Administration )(FDA) and USDA.deparmrnt of agriculture. 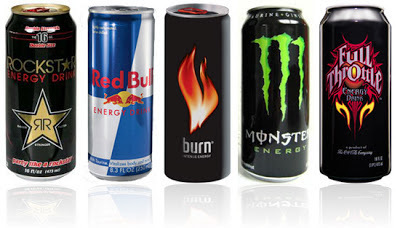 There is not a significant evidence that energy drink really increases physical and mental performance, driving ability when tired and decrease mental fatigue during long period of concentration. Unfortunately the body biography is limited and it is not known the improvement came to the body is from caffeine, other herbal ingredients or is due to a combination of the ingredient found in beverages. Can it effect adversely ? The amount of caffeine in a single drink is about 72 to 150 mg however many bottles contain 2-3 serving rise the amount of caffeine upto 294 mg per bottle. If we compare, the amount of caffeine per serving of coffee, tea and coca cola beverages ranges between 134-240 mg , 48-175 and 22-46.it is found that if adult take upto 400 mg of caffeine per day it doesn't show any adverse effect. But women of reproductive age and childerns should limit their daily consumption. They can take upto 300 mg amount which is maximum, should not exceed this amount.this is amount is calculated as 2.5mg/kg. adult also limit their consumption if they intake greater than 100mg/day it cause high blood pressure. Movies , sports, in the hand of actors. But we should prevent it.